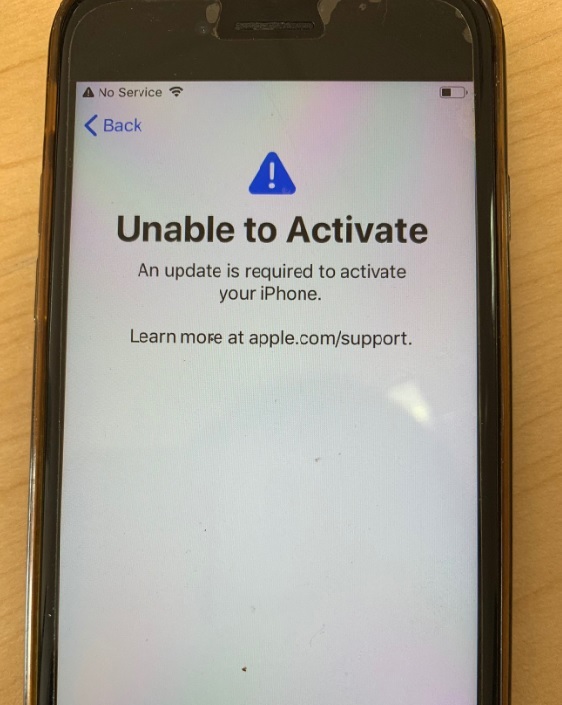 Today got an iPhone 7 is having restore failed show Error 4013 in iTunes. This article is not suitable and is outdated when iOS 12 released. You can keep reading if you had an iPhone with this issue and didn't repair that time. Customer said before it was working but just no service (network). Then he sent to previous shop, the guy restored the software and it ended with error 4013. Then it stuck at Recovery mode. 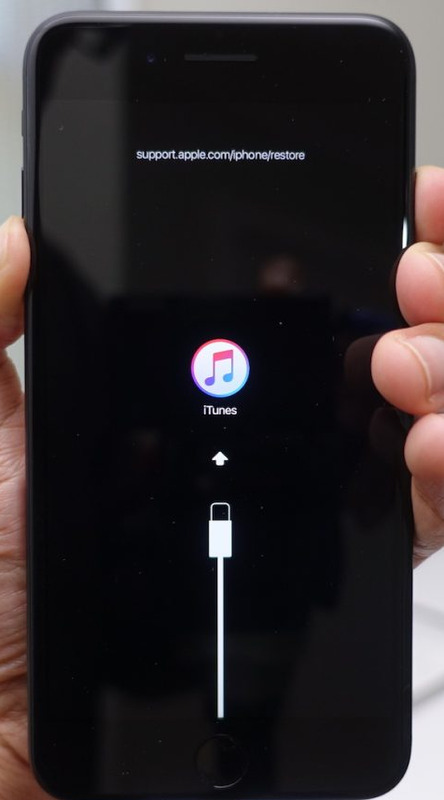 Older iOS will display different iTunes logo and Cable. By hearing the client said it was No Service. We already know it got network or signal issue. 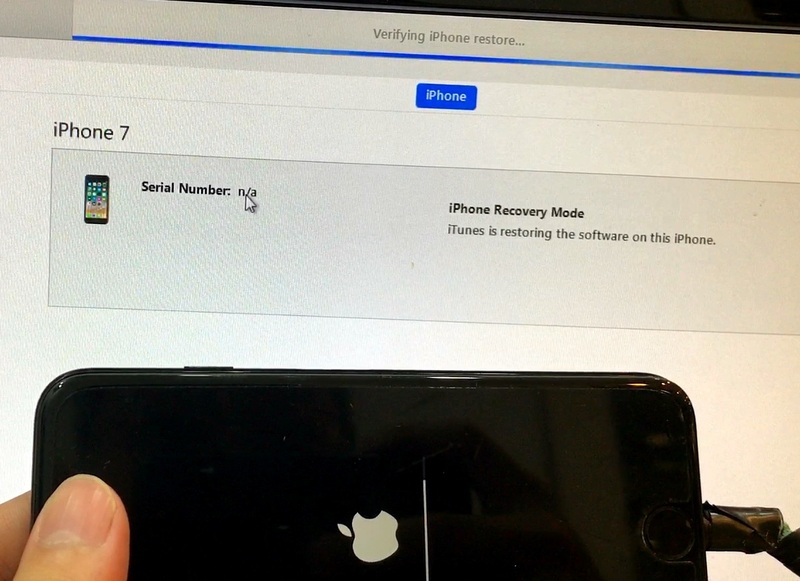 it's famous problem for iPhone 7 or iPhone 7 Plus. Same like iPhone 6 Plus touch disease. This we called it - iPhone 7 Baseband disease. OK, for who googled about this issue and found this page. I'm going to share some tips here. I'm telling you that do not restore your iPhone. It was never a software issue. Definitely is HARDWARE problem. If you insist to restore it, then your iPhone will might stuck in Recovery Mode (Happened in iOS 11 or earlier) . So what so bad about it? Can't gaming or use app? No!! 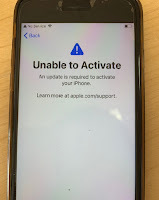 The biggest problem is some shop they intend to swap your expensive part like camera with faulty one.. since your iPhone unable to enter iOS, how are you going to check all the function..
Mostly of them don't have the skill to do repair logicboard ic. So they swap out those camera (7Plus camera worth few hundred!) and might charge you for diagnosis fee which they just did software method that restore the device in iTunes. This type of repairer without skills usually gain more profit by doing monkey trick. We are board repairer. Still seeing a lot this kind of cases. The worse part is they created a mess. Forcing us to repair their "damaged" and more time wasted. Usually second attempt repair would cost more than 1st hand. Sent to wrong shop get consequences. So i strongly suggest you to keep the iPhone in a status which can be still turn on to test all function or features. By the way....Back to topic. We have few ways to check it before you conclude this disease. If you haven't restore yet, go to phone menu. Press *#06#. It will show your iPhone IMEI. Nothing appear after you press *#06#, then it's confirm you having Baseband problem. Error 4013 (iPhone 6S, 6SP, 7, 7SP) After fail restored, you still see iTunes logo in your iPhone. If it has no display and blank screen, then you have a bigger problem which is out of our today topic. Let's talk about how to repair it and why did it happen. 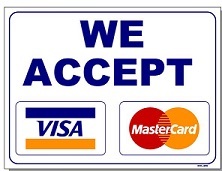 First, i show you a photo on below. It's an iPhone 7 which we removed the shield on top of the logicboard. We can see the Apple logo chipset with text A10. It's the main CPU of iPhone 7. The red circle IC is Baseband CPU. (It's job is to control all the signal or cellular network) He is the protagonist of today topic. There are two type iPhone 7 / 7P.. One of it is using Qualcomm Baseband. The other one is Intel. Both are famous chipset maker. Which one better? I can't say. But i do have a statistic know which one failed most. A: Usually is because you dropped it too hard. A: This i can tell you. It is the Design flaw. Because the baseband IC is sitting middle of the logicboard. In very center. So when the iPhone7 fell hard on the floor, the long logicboard will get slightly bend on middle and return to position but..
By so many black glue bound between the PCB and this IC, the joint of this IC will still get cracked or lost contact to the board. A: Most of the cases, it just needs reball the Baseband CPU with a better solder paste which is more durable than Apple. Sometime even need to repair broken tracks below at this IC. We must take it out to check. To do this job, the technician himself MUST BE very skillful and experience. Master of heat control. Why? Because CPU is SITTING next to it!! If you put too much heat, A10 CPU beside will be shorted or died. CPU's hundreds of solder balls will be messed up/disturbed by underfilled black glue. Reball done. Put all the capacitors and Inductor back. Then check surrounding with multi-meter. After all the technical works done. We must need to restore again. When the white bar is passed 50%. And iTunes doing second time of verifying iPhone restore. The problem is fixed. YAY~ This is the message we love to see!! Tips: Always backup your data in iTunes. Even your iPhone has no problem.